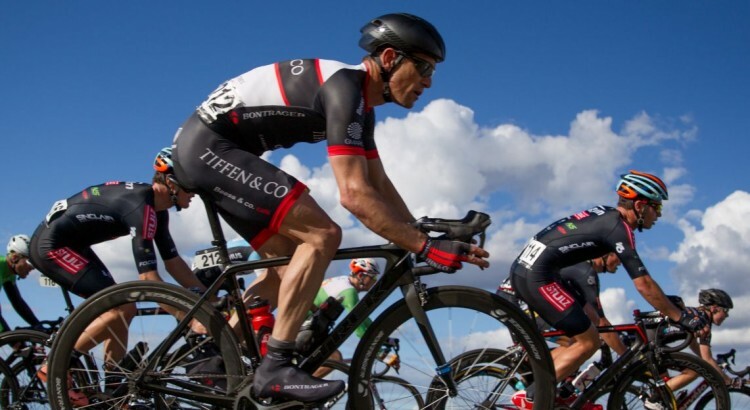 Tiffen Cycling Team has been having a successful and rewarding summer of racing and have been enjoying getting out and about in the new distinctive team colours. The team has tallied up a number of great results in both local and interstate racing in recent months. In December the team placed a rider in 5th place overall and also won the sprinters classification at the Tour of Bright in Victoria. 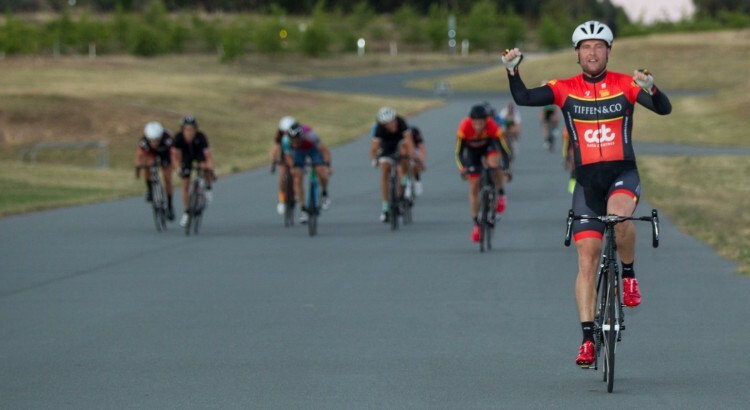 In local racing, Matthew Rizzuto is currently leading the overall Canberra Cycling Summer criterium series for the team. Matthew and Jeremy Ross have both had impressive wins against some big national and international riders in A grade during the series. In a less competitive nature the team has also had riders take part in both the Bupa Challenge in Adelaide and the Peaks Challenge Cradle Mountain in Tasmania in recent months. These are both excellent rides for those looking for a cycling challenge out of town. 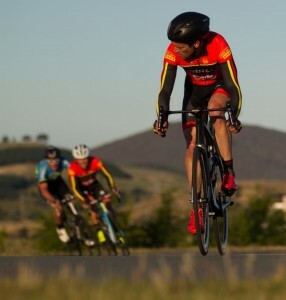 Coming up this year the team will finish up with the summer criteriums and take aim as some of the Victorian Road Series events and many of the great local road races which are on offer in Canberra this year. In March the team will also take part in Amy’s Big Canberra Bike ride for the first time this year and is looking forward to getting out with many of the thousands of other Canberra cyclists and helping raise awareness to the important issue of cyclist safety. 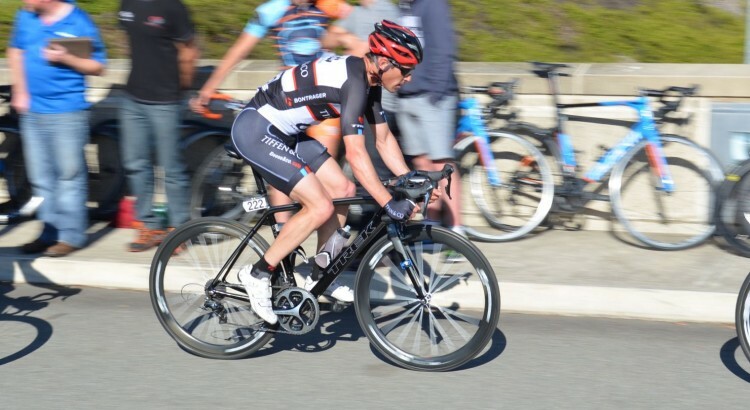 Over the past few months the team has had a busy racing schedule with the National Capital Tour, the ACT Championships (Road and TT) and the CCC Road Championships all within the space of a month or so. The team went into the National Capital Tour with a good team looking for any opportunities they could make use of. After solid rides in the Prolouge the team faced a series of setbacks in stage one with three riders withdrawing from the race for various reasons. This left two riders remaining for the final stages but both Matt R and Jeremy R were both willing to give it a good shake. Both riders raced very strongly keeping pace with the front group for the majority of the toughest third stage. Ultimately Matt finished in 24th place overall and 15th in the final criterium. Considering the quality of the field this was a great effort. Following on from the NCT, were the ACT Championships. In the Elite road race Jeremy R took out the overall honors supported by a strong team including including Jeremy G, Stephen I, and Nick S who finished in 4th, 5th and 6th respectively. In the masters racing Stephen B also collected the gold in the Masters 4 event. The following day in the time trial both Jeremy R and Stephen B when on to do the double also collecting the Elite TT and Masters 4 TT titles. 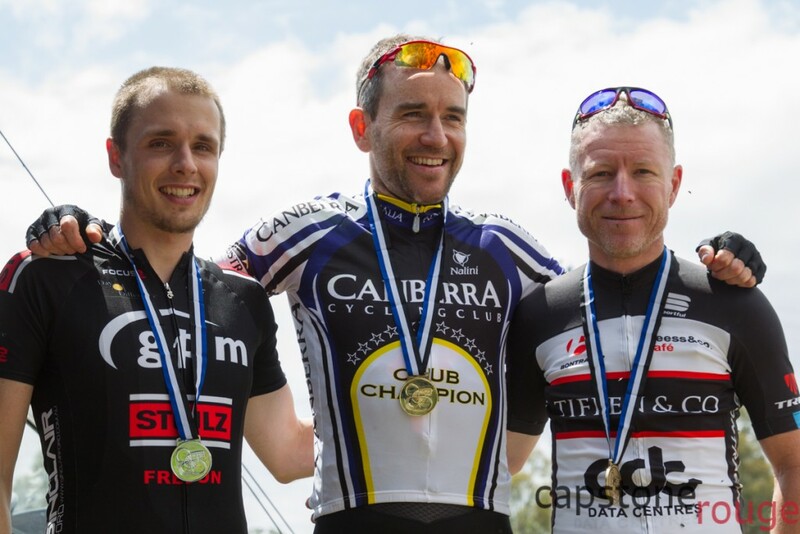 Yesterday was the Canberra Cycling Club road race championships. 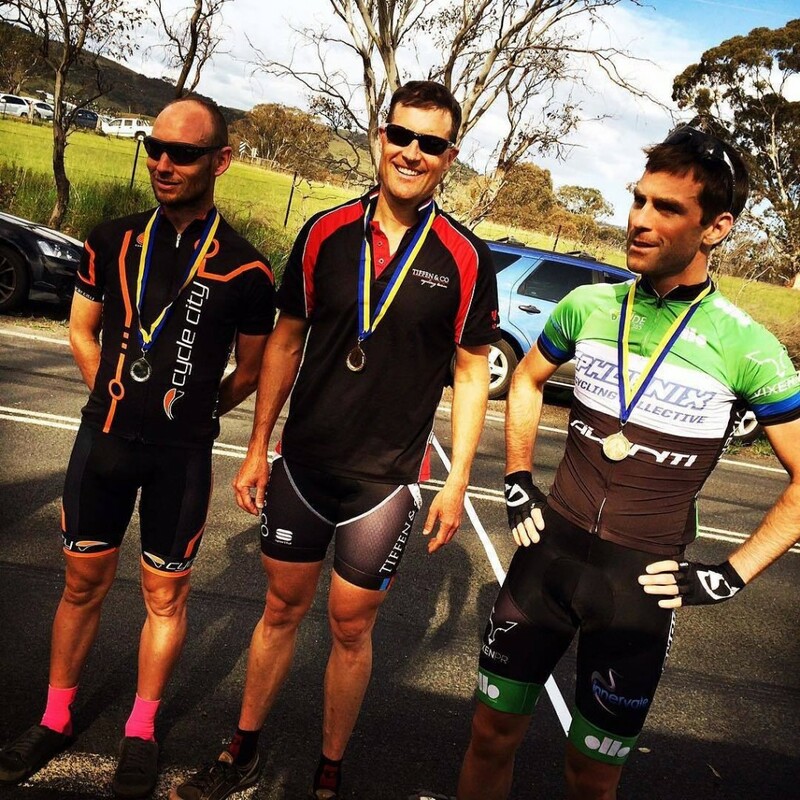 With a solid field in attendance Stephen B rode a smart race to collect the Bronze medal in the A grade road race. (won by International level Mountain bike racer Andy Blair). Some great results over the past weeks and a good signal to some of the form that is building as we draw closer to the Tour of Bright at the beginning of December. The summer Criterium series also commences this Wednesday evening with Tiffen Cycling fielding two strong teams it should be a fantastic summer of racing we look forward to seeing you out there. 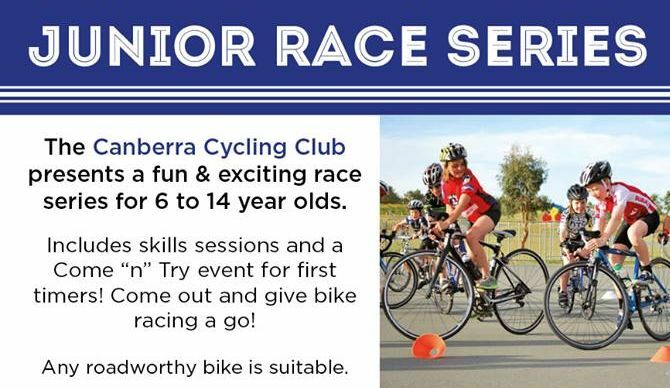 Tiffen Cycling team is once again very proud to be supporting the Canberra Cycling Club Junior Race series to be held over summer. Consisting of five events from the 31st of October to the 28th of November the series gives 6 to 14 year olds a chance to try out racing for the first time in a fun, safe and traffic free environment. 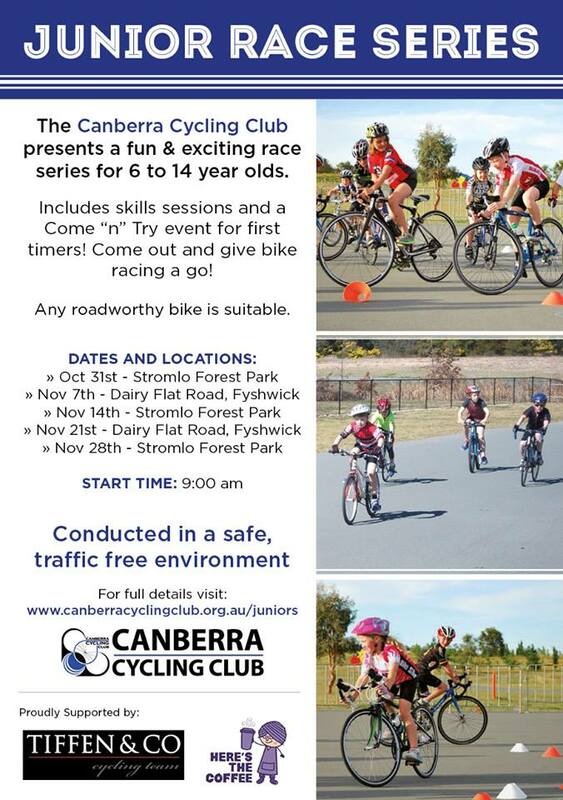 If your child is interested in getting into cycling please contact [email protected] for more information about the series, or visit the Canberra Cycling Club website. 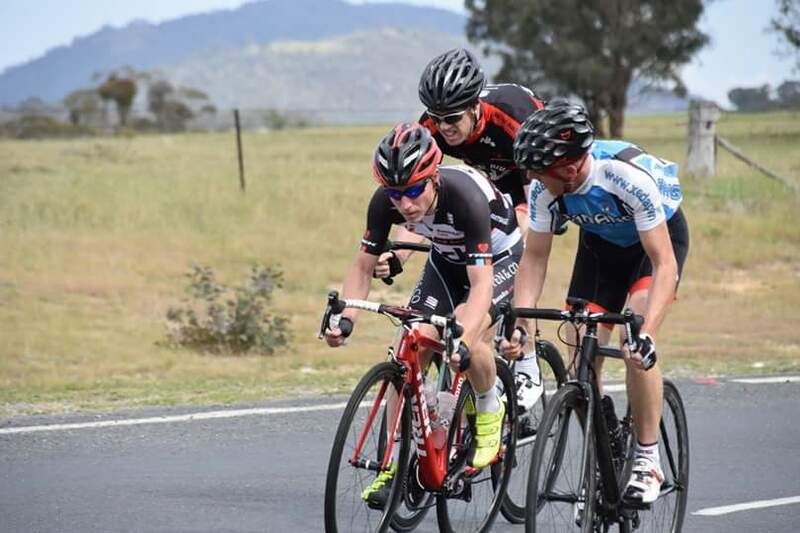 Once again Tiffen Cycling team will field a strong team of six local riders in the National Capital Tour; the Canberra round of the National Road Series. This years event will be held over three days from the 18th to 20th of September and will feature some challenging stages including a mountain top finish at the top of Corin Road. The riders representing the team will enter the race with the goal of building experience and making the most of opportunities for stage results. Team members who are not racing will form the support team manning feed zones, driving support cars and other duties to help make the weekend a success, making the event a true team effort. The emptiness of those lives shocks me.